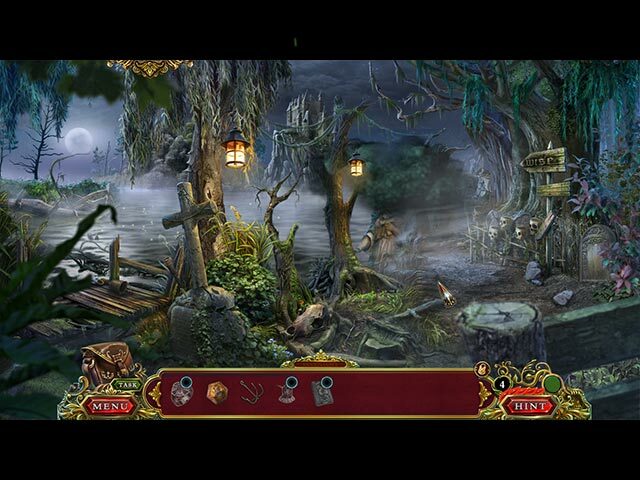 Vendel Games is back once again to prove that nothing quenches the fiery Spirit of Revenge! This time, you’ll have to follow a maze of palace intrigue to root out the truth. Play as a maid of honor at Queen Elizabeth the First’s court, with none other than the mischievous Francis Drake as your sidekick! But this game’s not just for history buffs. Bring your sense of humor and quest for adventure on this fun trip into the Elizabethan past! 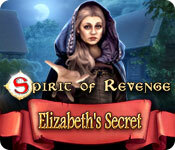 Spirit of Revenge: Elizabeth's Secret is rated 3.9 out of 5 by 21. 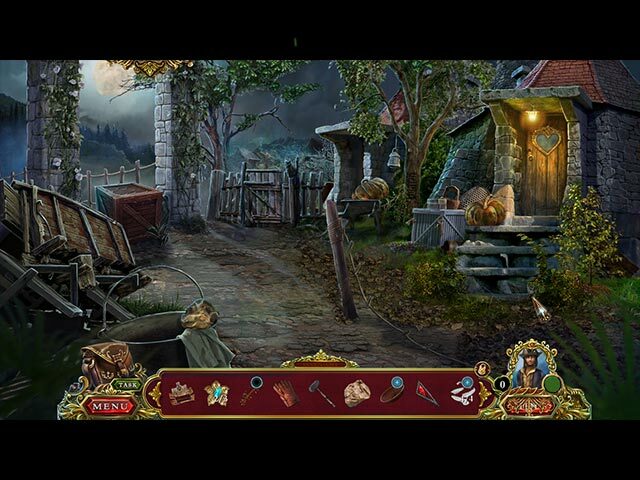 Rated 5 out of 5 by ladynextdoor123 from Wonderful Love, love, loved this game. Story line, graphics and voice acting were just right, and I enjoyed the shock factor here and there - occasionally jumping in my seat!. The 'side kick' had quite a few funny lines, and the puzzles and HOPs were all varied and interesting. I thought the ending was a little abrupt, but it didn't take away from my enjoyment of the game. Rated 5 out of 5 by tophatmcgee from Excellent Addition to the Series and Fun Frolic Through Time This was an excellent adventure, really top rate. The HOS were great, I really like when I have to do a puzzle to unlock the HOS, bonus! The map works well, Drake was corny, but was meant to be so it worked. The game lasted a long time, it wasn't short like they tend to be lately. The only issue that I had was a technical one. Occasionally if I dropped the screen for too long to net surt, or check out facebook, it would lock up the computer. And one or two puzzles were buggy. BUT, I just rebooted and everything was fine, so it could even be from my end. Just mention it so if it happens to you, you don't get tense about it being a failed game. I highly recommend this game and series. Rated 5 out of 5 by ninja226 from best game I've played so far This is one game in which every element was just right. The most seamless story I have encountered. If you are the literary type, this one is for you. You will note the nod to Shakespeare and his cohorts during QE1's time. The characters are beautifully drawn. Graphics are great. HOG and mini games are just right--easy with reasonable challenge. Voice overs, music, animation all contribute to a seamless plot from beginning to end. If you get stuck wondering what to do--use your helper Francis Drake to advance to next scene. I played the SE. You get a peek to a locked door near the end, which probably leads to the CE Bonus game, which I cannot comment on. If you are the type that doesn't like to be tantalized by what's behind the door, then get the CE. The SE by itself was a fantastic game. Rated 5 out of 5 by Yurnmesis from Excellent Graphics and Entertaining Storyline! Overall: Excellent game, great graphics and entertaining storyline. Graphics: Excellent with great scenes and design. Sound and music: Pleasant and appropriate for situations. I turned it down low, but didn’t have to mute it. The voices were pleasant and not over-done. Hints: Excellent, transported you right to the next task. A few tasks took a little looking around, so if you are transported somewhere, take a moment to look around to see if you are supposed to collect an inventory item. 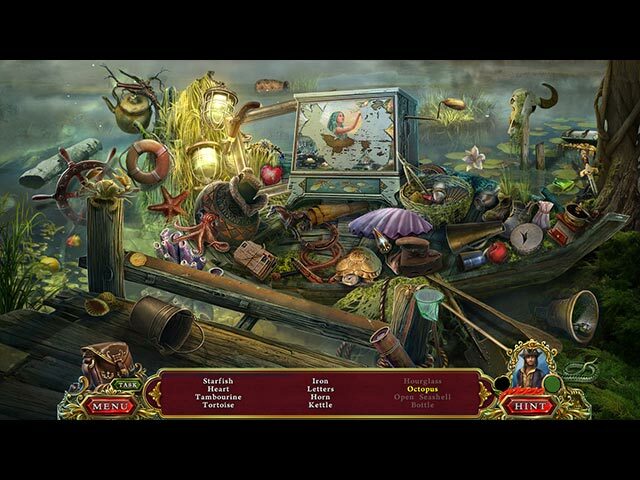 Hidden Object Games: Varied and beautifully created, the scenes are well developed, the items clear and visible except for a few that give you a bit of a challenge. They used forms vs. words, fine 3-4 of the same type, similar pairs and word lists. Variety was entertaining. Mini Games: Easy to challenging and varied and no repeats of the same thing, so was enjoyable. Storyline: The continuity was great and the story flowed nicely, there was a lot of back and forth, but that was easily accomplished with the hint and the characters were interesting and well designed. The villain wasn’t over the top and the focus was on the journey and the tasks required to achieve a rescue. Other: You get a helper in the form of a rascally pirate who has a big ego, but it’s all in fun. I liked the cat purring at the start of the game. Rated 5 out of 5 by dyal from i was surprised I recommend this game I really think is very well made fun and entertaining It is going to be one of my favorites of this year. Rated 5 out of 5 by radarsweet from A Pleasant Surprise! I wasn't really expecting this game to be much of a challenge, but I found it to be so & enjoyed it very much! I admit that I did get lost a couple of times, & my little helper (Frances Drake) made me feel a bit foolish for it. The story line to this game is excellent. If you have an interest in the Elizabethan Era or not, this game will keep you anxious to find out what happens next. There are 3 different modes of game play, or there is the custom mode where you can set it as you wish. The graphics are good; not as sharp as I'd like, but they are clear enough. The HO's are varied; most of them are just the same old, but there are some interactive scenes that I really had fun with. This game has a lot of areas, so there is some jumping back & forth. Be sure to look close, or you may miss something! As far as re-play value, I'm not sure. I think it would become an easy & monotonous game if you play it often. The story line is memorable, so it'll still be in your mind the next time you play it. Over all, this is a great game. I would highly recommend this game to anyone. Rated 4 out of 5 by kirragirl from Good Game Loved the game. Great story line. Good length of game. Hate to spend the money and get a short game. Not terribly challenging but fun nonetheless. Rated 4 out of 5 by lamp_post from What a hoot! My review is based on the entire SE...The graphics are very good. I actually loved the story line-even though it could not possibly have happened the way it was presented. But it just did not matter because this is a fun, fun game. I won't go into the details, as everyone else has, but if you are looking for an entertaining and somewhat challenging game, this is the one! There’s a secret in Queen Elizabeth’s court, and you must uncover it.